Years later, my friend invites me to walk the labyrinth and when I ask, “what it that?” she says, “it’s kind of like a maze.” I am not thrilled with that idea but she explains that in contrast to the common corn maze, the modern labyrinth offers one way in and one way out, with no tricks or dead ends to confuse us. She takes me to a church that has a beautiful inlaid wood floor where she knows that I can have a safe place to walk, and to contemplate my grief. I enter the labyrinth at the baptismal font. I think about water and its refreshing qualities on this 80-degree summer night. I enter as a sinner, the same way I was baptized over forty years ago. I enter barefoot, heavy laden with unanswerable questions, with insurmountable grief. The winding path leads me close to the center, the space that symbolically represents the pres ence of God. Another minute and I am on the outer reaches of the circle. Lately, I have felt far away from God, a lost sheep in the flock. As I look down at my feet, I notice small droplets of water on the floor, my tears that are now flowing freely. I continue to walk, plodding forward not knowing where the winding path will lead. Times passes, and I realize that I still need to make the journey back, out of the labyrinth. I have mixed emotions about leaving this place. I feel like a small child leaving the security of home. On one hand, I am frightened by what I still might have to encounter on my journey of grief, on the other hand; I have renewed strength and confidence that God truly is walking with me, that he truly is my Good Shepherd. I leave the candlelit sanctuary at the same place I began, the baptismal font; I reflect on the words used during the Rite of Baptism – water is the sign of the kingdom and of cleansing and rebirth. I AM a child of God, baptized in faith. Even when I walk far away from him in anger, or when I can’t see him through my grief. I have chosen to leave this place reborn, hopeful that I will continue to see his face, hear his voice, and take one day at a time. 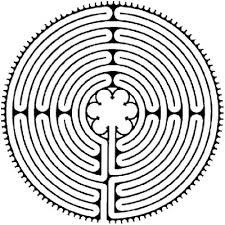 Labyrinths are found inside of churches or outside in gardens. There are smaller, portable finger labyrinths where you can trace the path with your finger or stylus. Portable canvas labyrinths are also available to rent and use in your own space. This entry was posted in My story and tagged baptism, child of God, grief, healing, journey, labyrinth, maze, path, walking. Bookmark the permalink. You wrote about your experience so well that I was able to visualize myself walking on the path, feeling the coolness of the floor under my feet, catching the scent of candles, feeling the warmth of the light that shines on the center of the labyrinth, and even hearing a strain of the meditative music playing. I have walked the labyrinth many times—indoors and outdoors—and each time it is a different experience for me. Sometimes I walk with a particular issue on my heart, other times I simply open my heart and mind for whatever needs to enter and I take it from there. Very often my walk reveals clarity about an issue in my life and gives me strength or wisdom to face it. There are even times when I seem to walk in a circular daze with no purpose at all, yet I always sense God’s presence and love and I leave feeling cleansed and whole again. I feel so close to God whenever I walk the labyrinth. I don’t walk the labyrinth as often as I’d like, but I always try to on New Year’s Eve as a symbolic way to release the current year and welcome the new one. It’s a holy, intimate time for me to think about the previous 12 months as I am walking and give myself permission to let go of anything that weighed me down. When I am finished walking, I feel fresh and clean and eager to greet whatever the next 12 months will bring. Thank you for sharing your labyrinth experience so vividly, Kathy! 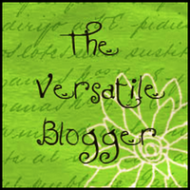 I hope your blog piece will inspire others to experience this unique way of encountering the presence of the sacredness in their ever-changing lives. What wonderful reflections on labyrinths. I am determined to take the time to walk in one again soon after reading this! I hope that you do – enjoy! I am excited that I will now be able to utilize the outdoor labyrinth close to my home as we move outside from our winter hibernation! !